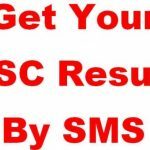 SSC Result 2018 is very important for SSC Examine! SSC mean Secondary School Certificate. After completing Education of Class 10, Student attends on the SSC Exam. In this post, we are describing details about this. Maximum people are looking for SSC Result Publish date. Some people are looking Result Checking systems and all other News. 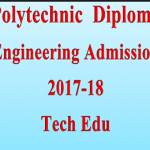 By reading this post, you will get all details including Result checking system from Online, Mobile SMS and Android App. Please be informed that you will get your Result on here easily. 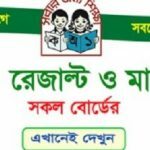 Just wait until publish the Result by Education Board Bangladesh. Do you know SSC Result 2017 Publish Date? In 2017, the SSC Result published on 4th May 2017. Every Year, SSC Result Publishes on May. It may take some distance. But, it is not so far. Result publish time is also important. In Past, Education Board Result Published on 02:00 PM of selected date but currently it has changed. 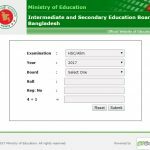 Last HSC Result 2017 has published on 01:30 PM of the selected date. Probably the JSC Result 2017 will publish on 01:30 PM. So, the SSC Result 2018 will also publish on the time of 01:30 PM. After sending the Message, you will be charged 2.44 TK from your Mobile. Then you will receive a Message from 16222 with your Result. Sometimes, it may takes several times. 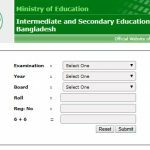 Education Board Bangladesh all Result is available on Android App. Teletalk Bangladesh Limited added an Android App which named BD Result Official. You can install the App from Google Play store. It’s APK Version is available anywhere to Download. Just collect the App and install it in your Android Device. Then, you will get All Year (1996-2017) and all up Public Result in Bangladesh excluding PSC Result 2017. If you have installed the App in your Device, just wait for Publish the Result Officially. If the Result has Published, Just open the App and follow step by step guideline. All the processes are same like online system. So, if you have checked your Result online, you will complete this task very fast. This Article isn’t complete! We will update again day by day. But, you will get complete guideline within the SSC Result 2018 Publish. So, stay connected with us on here and read our latest update. You can ask any question to us. We will reply you shortly.